If you are on an ultra low budget or looking for a laptop under 15000 rupees then you are at the perfectly right place. If you are looking for a laptop under 15k then you will mostly find laptops having screen size of 10 to 12 inches. These laptops having small screen sizes are called as Netbooks and they come with low specifications and without an optical drive (CD/DVD). Netbooks are great for traveling purpose as they are small, portable, lightweight and their battery lasts much longer. These laptops under 15k segment generally come with Intel Atom processor and SSD flash drive having 32GB or more storage capacity. Most of them come with Windows installed on it but some of them do come with DOS or no operating system. 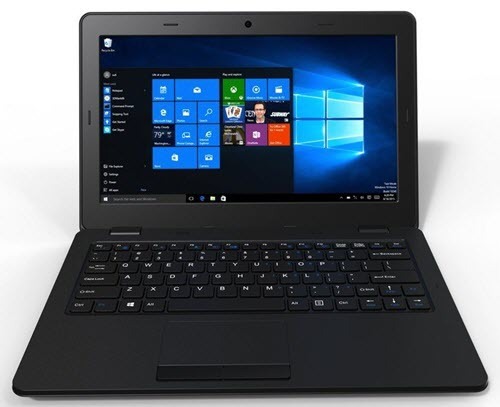 These small laptops or netbooks are very easy to carry around and they are suited for basic work that includes word processing, making or editing spreadsheets, presentations, internet etc. So if you travel a lot and need a decent powerful portable computer for documentation and internet work then you should get one of these netbooks mentioned below. Here the best laptops below 15000 rupees or best budget Netbooks that you can buy in India. 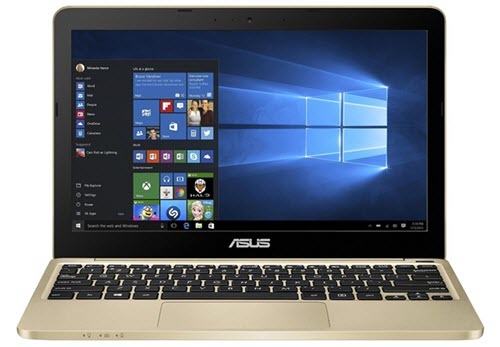 Asus Vivobook E200HA is one of the best laptops that you can buy at 15000 rupees. The laptop is quite slim, has good build quality and comes with Intel Atom x5-Z8300 Quad-core Processor (up to 1.84GHz), 2GB DDR3 RAM, 32GB SSD or eMMC storage, 11.6 inch display screen and Windows 10 operating system. This Netbook is ultra lightweight and weighs under a kilo. The battery backup is quite excellent with claimed backup time of more than 13 hours. Overall a very good netbook that you can get at a price of 15k rupees in India. Highly Recommended by me. The only 14-inch laptop that you can find under 15000 rupees is the RDP ThinBook. RDP is an Indian company that offers computing solutions at an affordable price. Their range of products include laptops, tablets, thin/zero clients, mini PCs, plug PCs, desktop PCs and all in one PCs. RDP ThinBook is a slim and portable laptop that has got 14-inches display screen. This laptop from RDP comes with Intel Atom x5-Z8300 Processor, 2GB DDR3 RAM, 32 GB flash storage, 14.1 inch LCD screen and Windows 10 OS. The laptop is moderately heavy at 1.45 kg because of the bigger 14-inch screen. The battery of this laptop is pretty good it can provide you up to 8.5 hours of backup. The build quality of this laptop is also pretty decent and at a price point of Rs. 11k to 12.5k rupees you cannot get anything better than this especially in 14-inch screen segment. 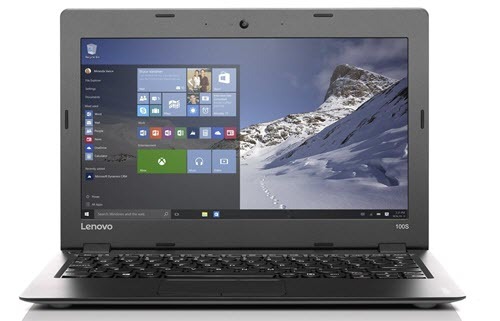 A very good laptop within 15000 rupees from the popular brand Lenovo. 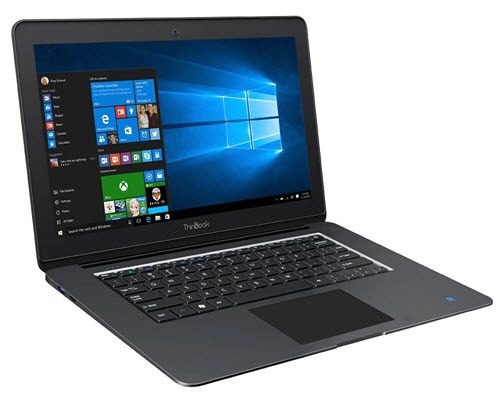 This lightweight laptop has good build quality and it comes with Intel Atom Z3735F quad-core processor @ 1.83GHz, 2GB DDR3L RAM, 32 GB Flash storage, 11.6 inches HD LED display and Windows 10 OS. This laptop weighs only a kilo and has battery backup time of around 8 hours which is pretty good. This portable laptop comes with all the required connectors and it great for people who travels a lot. This is one of the cheapest 11.6 inch laptops and you can get it at under 10k rupees. To be frank the build quality of this laptop is not up to the mark if we compare it to the laptops mentioned above. Any how it has got decent specifications and an attractive price which I think is very hard beat. This laptop comes with Intel Atom Z3735F quad-core processor, 2GB DDR3 RAM, 32GB flash storage, 11.6 inch screen and Windows 10 operating system. The laptop is pretty lightweight at 1.1kg. So if you are on a really tight budget and want a laptop under 10000 rupees then you can go with this one. Just like iBall this is also another cheap 11.6 inch laptop that you can get under 10000 rupees. Like the above mentioned iBall laptop the build quality of Micromax Canvas Lapbook L1160 is also inferior, so you have to be very careful with it. 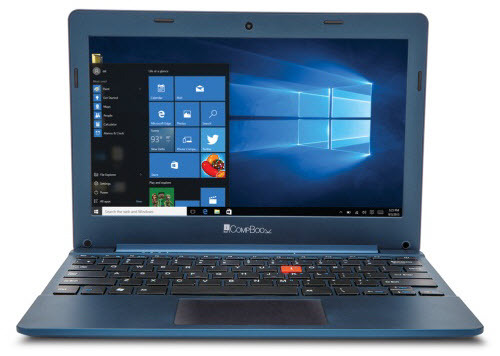 The laptop do has decent specifications and come with Intel Atom Z3735F quad-core processor, 2GB DDR3 RAM, 32GB flash storage, 11.6 inch screen and Windows 10 operating system. The laptop weighs only 1.13 kg and the claimed battery backup is around 4 hours which is pretty average. Overall a value for money laptop for users on tight budget. Well I have listed the best laptops under 15000 rupees that are useful for basic work and internet. If you have any query or can’t decide which one is best for you then you can ask me by leaving a comment below. Can you please provide me some details regarding your problem as there are various reasons for BSOD error. I suggest you to go for Asus E200HA-FD0006TS. It is a solid netbook and has excellent battery life. Also Asus has good after sales service in most of the Indian cities. Your blog really looks great. If you have any more queries then feel free to ask me. I m thank ful 2 u, bcoz u alwyz giv me your advice in my need. Earlier I hv bought mobils as per your advice only. Sir nw I wnt 2 buy a LAPTOP for myself for office purpose. I have to work in EXCEL , WORD, I too hav to do PRINTING WORKS daily 100 PAGES average. I hav 2 also WORK on the INTERNET. Suggest me one from a GOOD BRAND, which hav the Latest Version on which people are working.